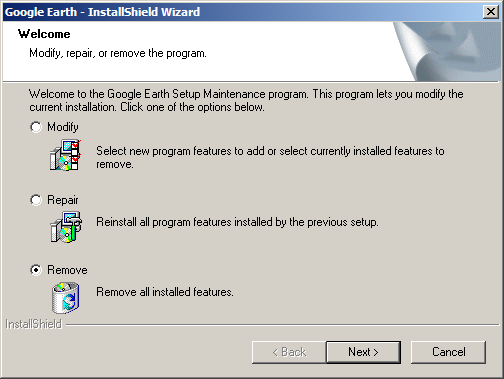 Stefan finds that Google cleaned up the Google Earth “Free” EULA. You can’t even use it at work for personal reasons. Yikes! USE OF SOFTWARE The Software is made available to you for your personal, non-commercial use only. You may not use the Software or the geographical information made available for display using the Software, or any prints or screen outputs generated with the Software in any commercial or business environment or for any commercial or business purposes for yourself or any third parties. So that leaves NASA World Wind and ESRI ArcGIS Explorer to fight over the “free” business market. I think we’ll be seeing a public beta of AGX really soon so this could be great news for ESRI. I’d better get uninstalling GE 4.0 beta from my laptop right away.